If you have done any amount of researching, then you are probably already aware of the company you should trust for your Eads plumber services. At Larry O. Plumbing & Rooter we have been providing the residents of this community with the finest in service since 1971. That means for over 40 years now we have been the local leading provider of the highest quality workmanship and customer care for plumbing related services. We are still committed to offering good old fashioned customer service, as well as top notch work, and that shows in the results we get for every single job we do. It has become all to common practice for uninformed homeowners to think they have to settle for less than the best when it comes to the work they get for their home. You can be sure that you are going to get the best service there is. An example of when you are going to need our expertise is with the work that goes into your average Eads kitchen remodeling job. Someone may assure you they know what to do for this type of work, but installing new kitchen countertops is not the same as installing proper bathroom plumbing. You can easily end up with a room that looks nice but is technically a disaster when it comes to the plumbing. The same can be true of who you hire for even minor repair needs. Someone can claim to have experience but this is not the same as having the credentials you need to get the job done right. Our top priority here at Larry O. 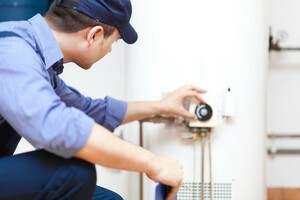 Plumbing & Rooter is to do the best job on every job we go to. We don't just want to meet your expectations, we aim to exceed them. Don't end up making a choice you will regret because you are in dire need of a professional. You can trust in the At Larry O. Plumbing & Rooter we have been providing local homeowners with the best service since the day we started, four plus decades ago. Now, we look forward to having the chance to work with you and show you all that we can do for you. When it comes to your Eads, TN plumbing contractor service needs, make it point to rely on the best. We care about taking care of your home as much as you do. So give us a call today and stop procrastinating when it comes to getting the plumbing work you need done. "We are very pleased with the work that was performed, with the tech that came out, with the young lady that answers the phone and overall with the service we received. We look forward to using Larry O. Plumbing & Rooter for all future services and will definitely recommend them to family & friends." If you are looking for an Eads plumber please call us today at 901-861-0277 or complete our online request form.